When DH and I went to Osaka, Japan in 2013, we ate in this inconspicuous Tempura restaurant located at the basement of a department store leading to a subway station. Little did I know that this was just one of Tenya's hundreds of stores in Japan. I didn't even know that I have already tasted Tenya's Authentic Japanese Tendons until today when I searched my previous entry. One thing I remember though is that this restaurant served one of the best tempura I have ever tasted. I was with some friends when I dined at Tenya SM Megamall- its first-ever branch here in Manila, Philippines. 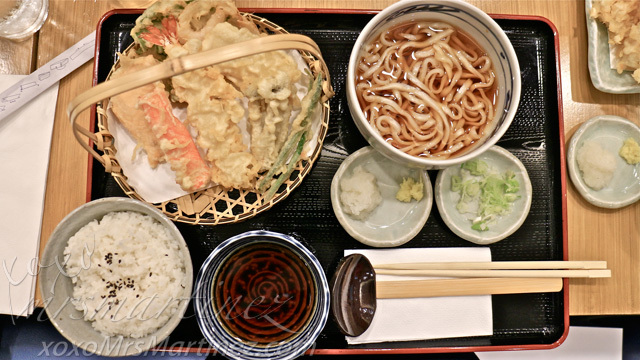 If you are a first-timer like me, I suggest that you order All Star Tempura Udon/Soba set. 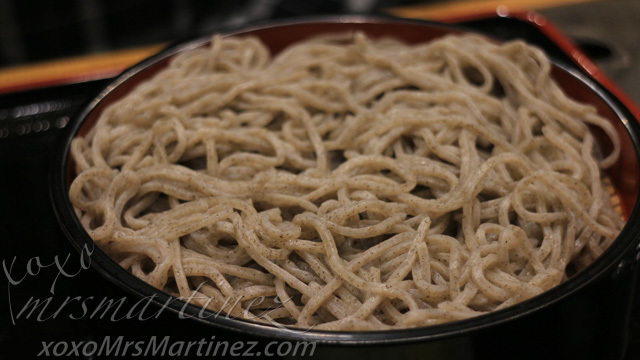 The set includes high quality soba or udon imported from Japan (served hot or cold), Japanese rice, Tempura sauce, radish, leeks, ginger and noodle soup. 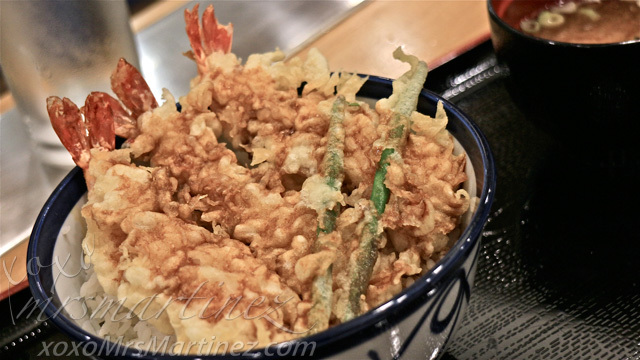 It also has one of each Tenya's best-selling tempura varieties- Black Tiger Prawn, Squid, Salmon, Kani, Small Kakiage, Green Beans and Mushroom. 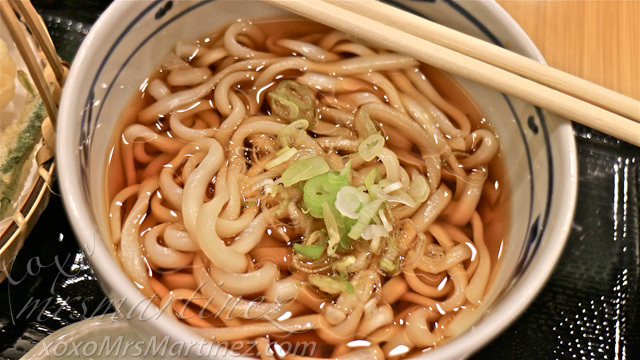 All Star Tempura Udon Set is so filling, one order is good enough for sharing. The Black Tiger Prawn is firm and simply delicious! 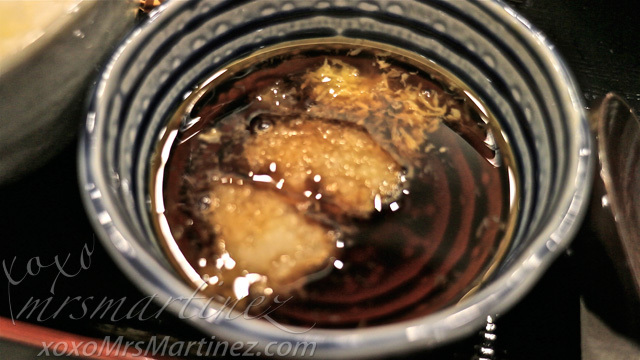 Tempura is a Japanese deep-frying technique that adds flavor and texture to the food without competing with its natural flavor. Tenya Japan's recipe library has over 350 varieties of tempura! Tenya has patented their own Automatic Fryer that is controlled by a sophisticated computer program and infrared heat technology. The auto fryer cooks Tenya's delicious products consistently and evenly in just 2 minutes! 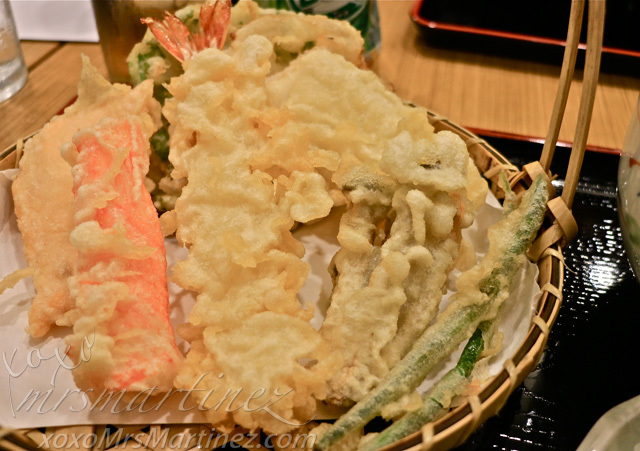 Asakusa Special Tendon set is the same order I had when I ate in its branch in Osaka, Japan. It is actually a lot cheaper to eat here than in Japan. Same great taste, more value for money! I am in cheese heaven when I tasted Isobe Cheese. 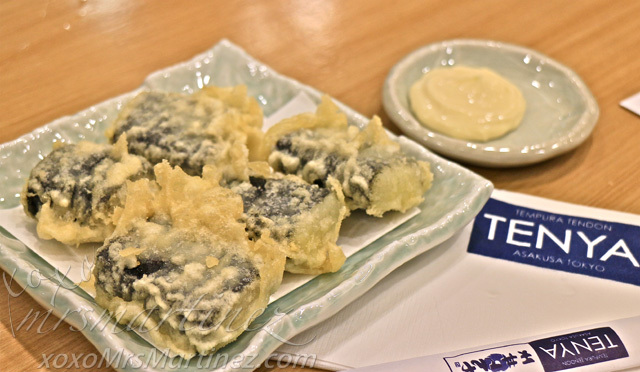 It is cheddar cheese wrapped in roasted seaweed then tempura fried, of course! 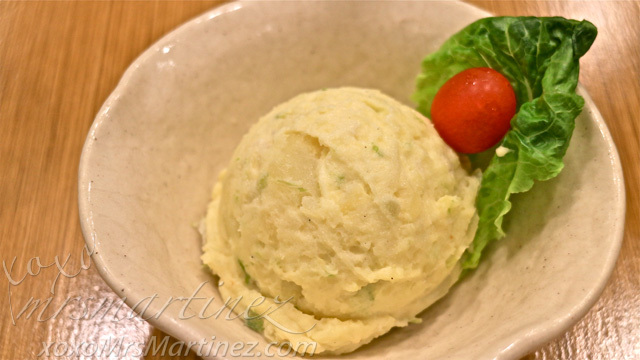 Other popular side dishes are Lettuce Salad Php 135, Agedashi Tofu Php 145 and Karaage Php 165. Tenya also serves dessert in the form of ice cream! 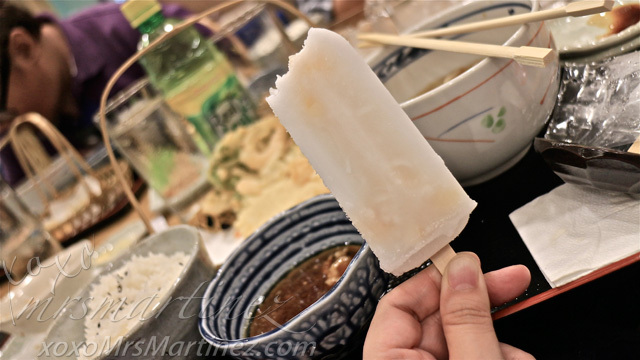 For only Php 75, these ice pops are so deliciously good. 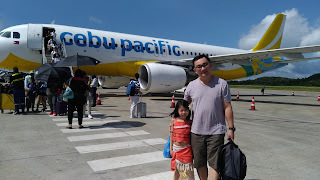 If I am not conscious with my weight, I would have eaten more than one. There's no need to travel to Japan just to try authentic Japanese Tendon, Tenya is now here in Manila with its first branch located at the 4th Floor, SM Megamall Bldg. A. More stores will be opening soon in Bonifacio Stopover and Market Market at Bonifacio Global City, Taguig and SM Southmall.